Stock brokers use the Depository Trust Company (DTC) to delivery paper stock certificates to customers. 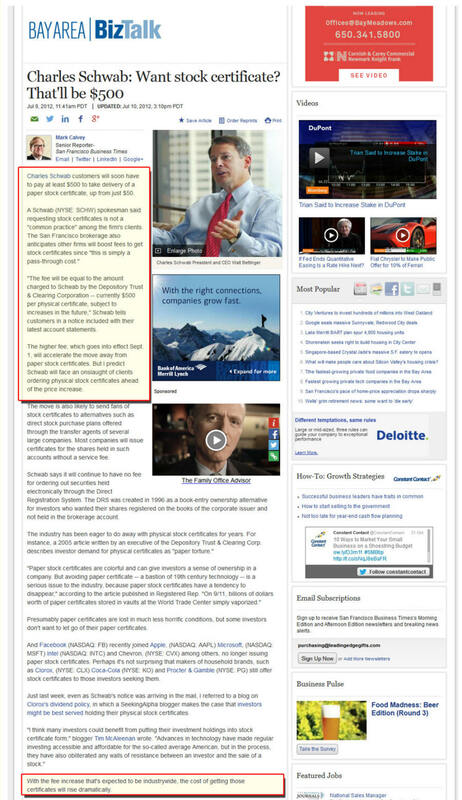 As of 2009, the DTC charges stock brokers a whopping $500 for this service. Why? To discourage paper stock certificates and encourage electronic ownership instead. The article below, does a great job explaining it. 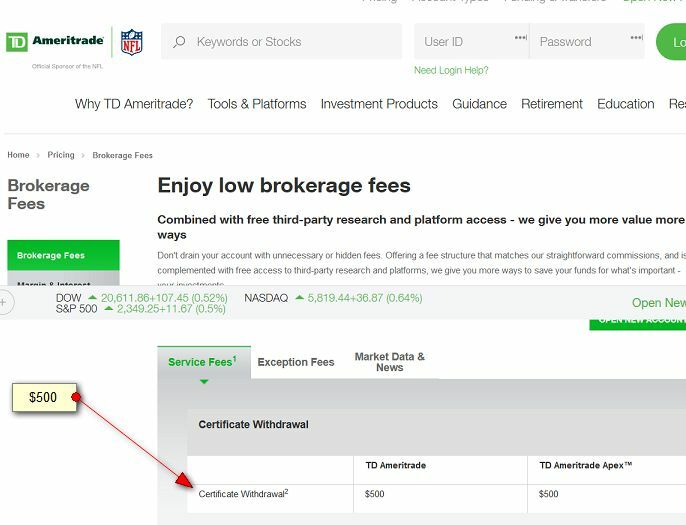 Be careful, some brokers like Etrade don't show the DTC fee on their website. 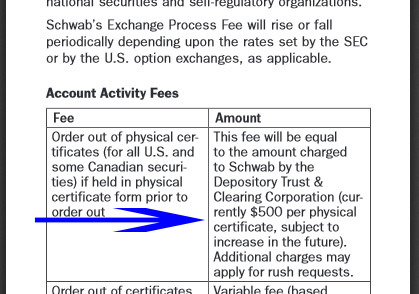 The Etrade website only shows their certificate delivery fee of $75 but when you request your certificate, they bill you for $575, their fee plus the DTC fee. Ouch! Many companies have stopped issuing paper stock certificates altogether and at some point in the near future, all companies will stop issuing paper so you better get one while you still can.